Modern Geology as Earth science was established by the fundamentally important Principles of Geology, being an attempt to explain the former changes of the Earth's surface, by reference to causes now in operation by Sir Charless Lyell and published in 1830-33. It introduced the Hegelian concept of processes through time as a way to explain natural phenomena. This same concept became so fundamental with Lyell's friend Charles Darwin in explaining the processes in the history of life. 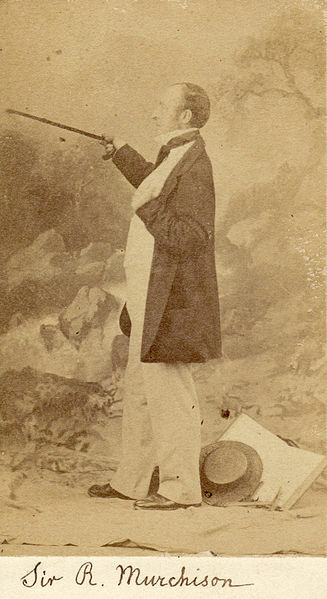 Darwin was an ardent student of Lyell and quite a geologist himself. Lyell introduced the concept of uniformism according to which geological processes have taken equal time throughout the ages. The way hills from on the slopes of Etna today is the same they formed in the past. The way a river builds its delta is the same way it did in the past. The principle of uniformism revolutionized scientific chronology of planet Earth. 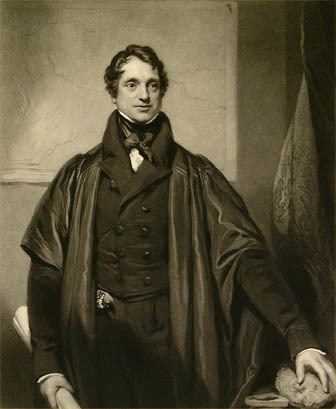 Adam Sedgwick was a gifted student of Lyell and Darwin. He was trained in mathematics and theology at Cambridge and later became a very long term Woodwardian Professor of Geology there from 1818 to his death 1873 - for fifty five years! His geological position was catastrophist in the mid 1820s, but following Charles Lyell's 1830 publication of uniformitarian ideas he concluded that a worldwide flood was untenable and talked of floods at various dates before recanting his earlier ideas in 1831. He strongly believed that species of organisms originated in a succession of Divine creative acts throughout the long expanse of history. Any form of development that denied a direct creative action smacked as materialistic and amoral. For Sedgwick, moral truths (the obtainment of which separates man from beast) were to be distinguished from physical truths, and to combine these or blur them together could only lead to disastrous consequences. In fact, one's own hope for immortality may ultimately rest on it. 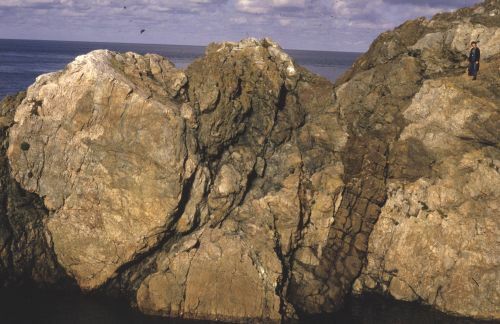 Paleozoic era of Earth's history is exposed in the rocks of Wales rocks. Together with another early geologist, Sir Roderick Impey Murchison (1792-1871) of Silurian fame, Adam Sedgwick worked in the field in the 1830'ies and established the highly significant and complex geological systems of Paleozoic Cambrian and Devonian sediments. There is a Swedgwick Museum of Earth Sciences at Cambridge established in 1903. It honors the name of this eminent scholar and Christian. A thin, Palaeocene (60-55 million year old) basaltic dyke cutting older Precambrian or Cambrian rocks.